Here’s how you can jailbreak iOS 9.3.3 and jailbreak iOS 9.2 on iPhone 6s, iPhone 6, iPhone SE, iPad Pro, iPad Air 2, iPod touch and more using Pangu. The moment everyone had been waiting for has finally arrived. Pangu Team has released its latest tool to jailbreak iOS 9.3.3 (Apple’s latest mobile firmware) all the way back to iOS 9.2. The tool is available to download right now and supports all 64-bit devices. As of now, only 64-bit devices are compatible. Keep that well in mind before proceeding. Take a complete backup of your device using iTunes or iCloud. You don’t want to lose your data at all before going ahead with the jailbreak. Make sure you have a clean installation of iOS 9.2 or iOS 9.3.3. The newly released Pangu tool does not play nicely with over the air updates. The latest firmware being signed by Apple is iOS 9.3.3, therefore download it and restore using iTunes. Make sure Find My iPhone is disabled before going ahead with the jailbreak. Navigate to Settings > iCloud > Find my iPhone. Also make sure the passcode and Touch ID features are off on your iPhone. Navigate to Settings > Touch ID & Passcode. Make sure your Apple Watch is not connected with your iPhone. Simply turn off Bluetooth on your iPhone. 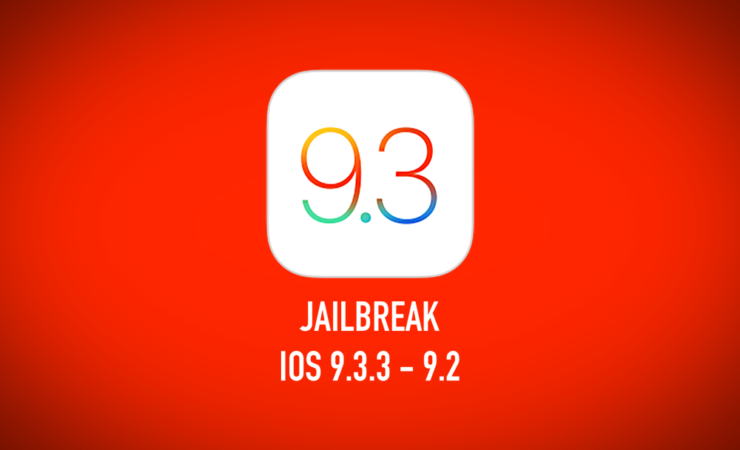 Read all the steps first before jailbreaking your device. Once the jailbreak iOS 9.3.3 – 9.2 process is underway we highly recommend not touching your device until or unless you’re requested to do so by the tool itself. You do not want anything to go wrong at this point. Therefore ensure smoothness by exercising a lot of caution during the entire process. Also, it’s worth mentioning here that this is a semi-tethered jailbreak. This means you will lose your jailbreak whenever you restart your device. Launch the Pangu app from the home screen and tap on the circular button to re-jailbreak again. You do not have to run the tool on your computer at all though, unlike a tethered jailbreak. Since this is a brand new tool from Pangu therefore you will run into trouble in certain places. But fret not, we will be posting follow-up guides to fix things immediately, so stay tuned to our coverage! Since this is a brand new jailbreak therefore expect many tweaks and apps to broken. They will, of course, be updated, but still exercise caution before you go on a download and installation spree.